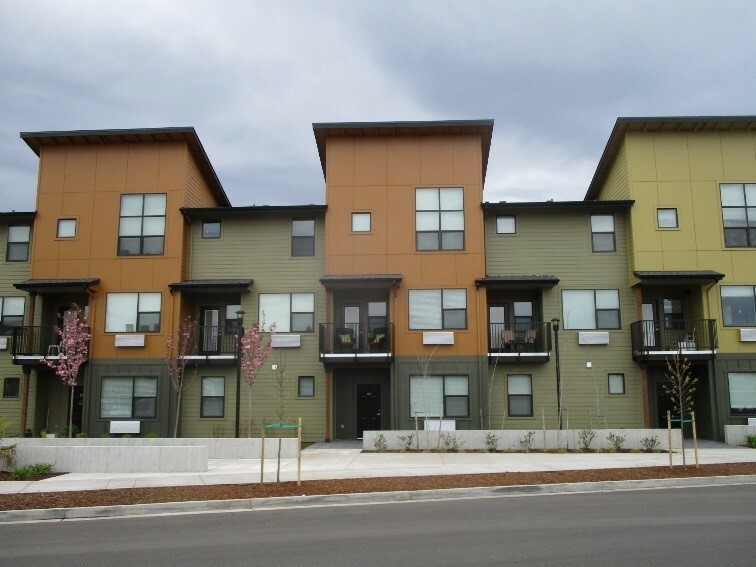 Walker & Dunlop, Inc. (NYSE: WD) announced today that it arranged a $43,500,000 refinance loan with Fannie Mae for The Tennyson at Crescent Village, a newly constructed, Class A, townhouse- and loft-style property in Eugene, Oregon. Led by Colorado-based Ralph Lowen and California-based Steve Natale, Walker & Dunlop’s team obtained approval to provide near-stabilization financing to retire the project’s short-term construction debt. Completed in early 2017, the 263-unit property experienced rapid lease-up and was 80 percent occupied at the time of rate lock. Loan features include a 10-year term and 30-year amortization at 70 percent loan to value. The borrower intends to use the loan proceeds to pay off two existing loans. The property also received a significant spread reduction by qualifying for a Green Building Certification through the Green Globes program. Located in Crescent Village, Eugene’s first master-planned urban village, the 35-building apartment complex offers residents one-, two-, and three-bedroom units along with top-of-the-line amenities on-site and easy walkability to both employment and local services. The Tennyson at Crescent Village features a clubhouse with a brew station and a fully-equipped fitness center with on-demand classes, racquetball courts, a swimming pool, and hot tub. Residents will enjoy everything from boutique shops to local restaurants steps outside their front door. Well-known education, employment, and shopping centers including University of Oregon, Costco, Home Depot, and Walmart are within five miles of the property.